Madrid 18-20 Octubre: Embutidos Carchelejo at Meat Attraction. 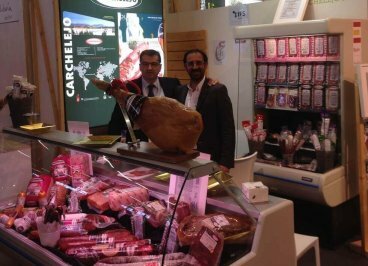 We continue from Exhibition to Exhibition and this time we went to Madrid to participate in the First Edition of Meat Attraction! 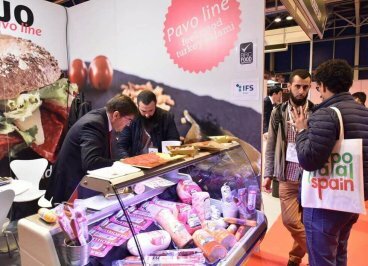 Indeed, between 18 and 20 October, the first edition of this new Exhibition took place, which shares dates with Fruit Attraction, the reference Exhibition in Spain for the fruit and vegetable sector. 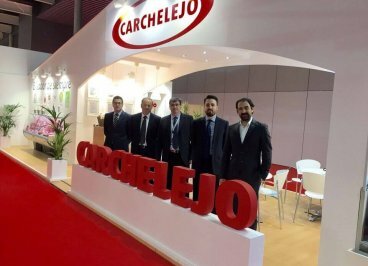 After the uncertainty of a first edition, we can say that this Exhibition has been very satisfactory for the sales team of Embutidos Carchelejo that was present throughout the three days. In addition, several of our clients also came to this event, with whom we were able to exchange impressions on the Exhibition itself, as well as strengthen ties. As usual, the attendance of visitors to our stand was high and some tastings of a good part of the products of our range were offered. As a novelty in this fair, we presented the traditional range and the Halal range separately. The first edition of Meat Attraction leaves us with a good taste and we hope that in the near future it will become a benchmark event for the meat industry at an international level. We continue with our commitment with the internationalization process of our business. 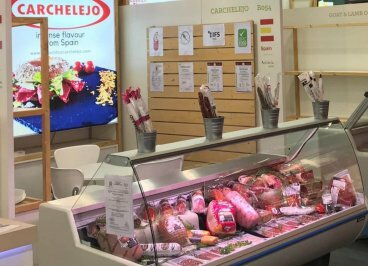 Between October 7 and 11, in Colonia (Germany), Embutidos Carchelejo participated in the 2017 Anuga International Exhibition, which is considered the largest Exhibition in the food industry worldwide. The event brought together more than 7,400 companies from 107 countries (historical record), and attracted more than 165,000 professional visitors from 198 different countries, according to data from the organizing company. Speaking about our personal experience, we can point out the continuous passage of visitors to our stand, where they could taste a large part of our range, standing out for its good criticism: the Barbecue Chorizo, a star product wherever you go and our range of Fuet. In addition, within our booth, we once again offered our Halal range, which was also very successful. Anuga allowed us to establish contact with professionals from the Retail and Horeca sector in the international field with whom we can continue to develop our business, apart from meeting and sharing a few moments with our great international family, which has been consolidated for more than 15 years. In short, Anuga is an unmissable event to maintain and grow in the international market. And we were there! We continue with the events. This time we moved to Paris. There we had the opportunity to share good moments with our clients of Internacional and to be able to continue expanding the market. 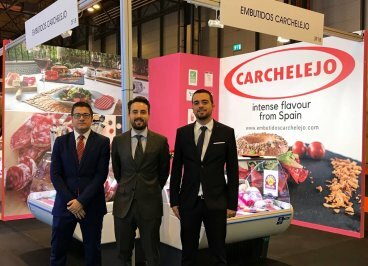 Following the tradition EMBUTIDOS CARCHELEJO participated in the last edition of Alimentaria Barcelona. A pleasure to be a meeting point with our customers.